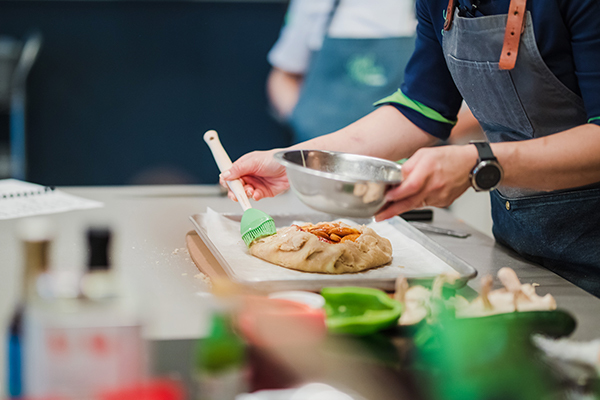 Our cooking classes are perfect for a wide range of occasions, from corporate events to milestone celebrations to a fun night out with friends. We offer three class formats for private events: Hands-On Class, Chopped Challenges, and Tapas Tastings. All are interactive and tons of fun. Organizers can choose from one of our six curated, seasonal menus. 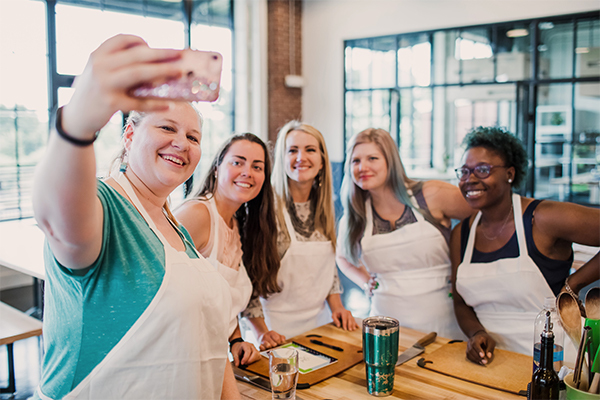 These classes are led by one of our talented chef instructors and flow just like our normal classes. The minimum for these classes is 12 guests, and we can accommodate up to 24. This is the ultimate team-building experience. In this event, teams of 5 or 6 guests work together to make the best dishes from a mystery basket of ingredients. We judge dishes based on taste, creative use of ingredients, and presentation. (Don’t worry, we’ll also make a meal for you to enjoy between rounds)! Ideal for groups of 25–42 people, but can hold up to 54. 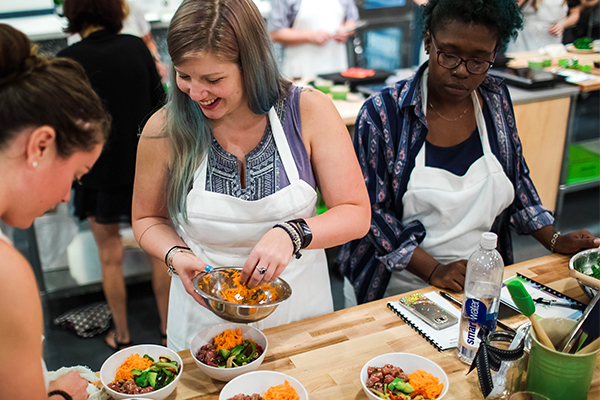 In this class, guests go from station to station making small plate dishes. Each station is manned by one of our chefs; combined, they make a full meal. The event overall is more casual, social, and free flowing. Ideal for 35–70 people. Events can be held with less than the minimum number of guests, provided that the minimum payment is made. To get pricing details and other information, fill out our form. Include possible event date(s), if known. A team member will contact you to get started on planning.